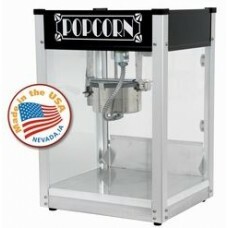 Home » Popcorn Machine - Gatsby 4 oz. Designed with the home user in mind we placed the cord in the back and the graphics and storage door facing the operator. 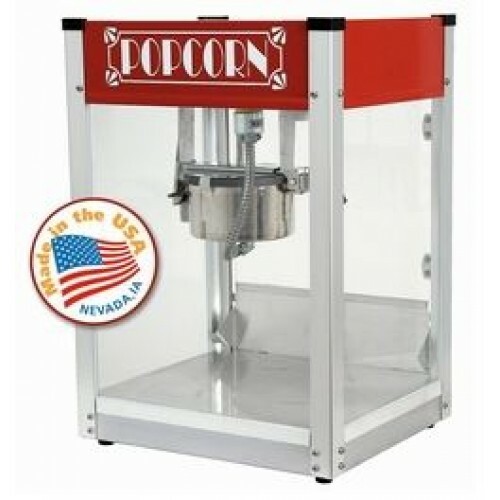 No brainers that make this a great consumer product! Matching brilliant textured stand built to fit for a custom “single unit” look has a wrap around door.